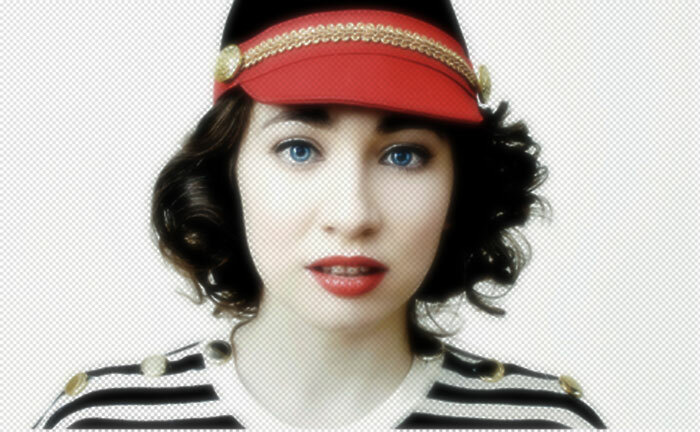 Vocal Pluses:Regina Spektor possesses a delicate and bright voice, dexterous enough to switch between the registers without any effort [Rejazz], execute complex melisma [Rejazz/ Oh Marcello], and hold notes without fatigue [Us]. Additionally, the voice remains homogeneous in colour and retains its attitude throughout the range. Though the low register is foggy and weak (especially compared to her middle and higher register), it is easily accessible and the notes produced share similar qualities in both the studio and live settings. The lower range of Regina is warm with a soothing quality [I Want to Sing], and lends itself to the jazzy flavour she injects into her music. Regina's middle range is where here voice shines brightest. The voice here is strong, free and effortless. Contrary to her lower register, the middle voice is vivid and punchy [Poor Little Rich Boy], but if needed, can receive a more subtle, softer, toned-down colouring [Lady]. The chest voice, generally, is elastic and solid, with a moderate volume output [Wasteside]. Even though Regina is not considered a belter, she has shown the ability on several occasions, most noticeable in [Field Below]. She is also able to sustain the belts for limited periods of time [Carbon Monoxide], and is able to replicate these notes live. The upper register is usually airy, bright and of pleasing quality, retaining the dexterity and freedom of the middle voice. In [Rejazz], Regina shows the proficiency to play with dynamics of her voice; sounding both soft and airy and harsh, with growls. The freedom in wielding the head voice allows for singing whole passages throughout the song [Samson], patterns of notes repeatedly with accuracy [Oedipus], sing trills and melisma, or use the yodelling technique to emphasize the lyrics. The voice itself is very versatile, not only within her opus, but in terms of the musical genres the Diva can sing. Thus, the voice of Regina's can bend to jazz [My Man/Love Me or Leave Me], blues [2.99¢ Blues], punk [Your Honor], acoustic indie [Jessica], world music [The Flowers] and pop [Fidelity]. Along with her distinctive tone, unique song writing narratives and impeccable sense of rhythm, Regina's indulgence in a wide variety of techniques, such as scatting and rapping [Pavlov’s Daughter], imitating dolphin sounds [Folding Chair], or singing with different accents [Oh Marcello] makes her truly a versatile and unique Diva. The interesting ways that she uses her voice- for example the glottal stops in [Fidelity]- have made her an instantly recognizable artist, and respectable figure in indie music. Vocal Negatives: The lower range sounds underdeveloped and thus weak and foggy, thinning out the lower she goes. Her quirky, at times weird, vocal and lyrics may turn unadventurous listeners off. Also, despite being a pianist, the Diva sometimes faces slight tuning difficulties. Many thanks to Baby Blues for compiling this profile!